I’ve been trying to beat my best 5K time from when I was a cross country athlete at Soka University of America. My undergraduate years were when I was in the best shape of my life (so far). I wanted to see if I could be even faster. Most recently, I completed the NYRR 2017 Jingle Bell Jog 5K on Saturday, December 2nd and am ecstatic to report that I finally broke my college PR by more than 30 seconds. In celebration, this is my love letter to the team that believed in me from the very beginning. Some of you may recall the very beginning of my journey as a runner. I “raced” my first ever cross country 5K in the fall of 2007 at an embarrassingly slow time of 31:50, or something along those lines. (It was actually less at 2.8 miles because I got lost.) Afterwards, we went to Cha For Tea in Irvine to celebrate the fact that we were an official women’s cross country team. Seven was the minimum needed to compete. If any of us dropped out, the team would not exist. Despite the fact that I ran an awful time, you made me feel like an integral part of the team. 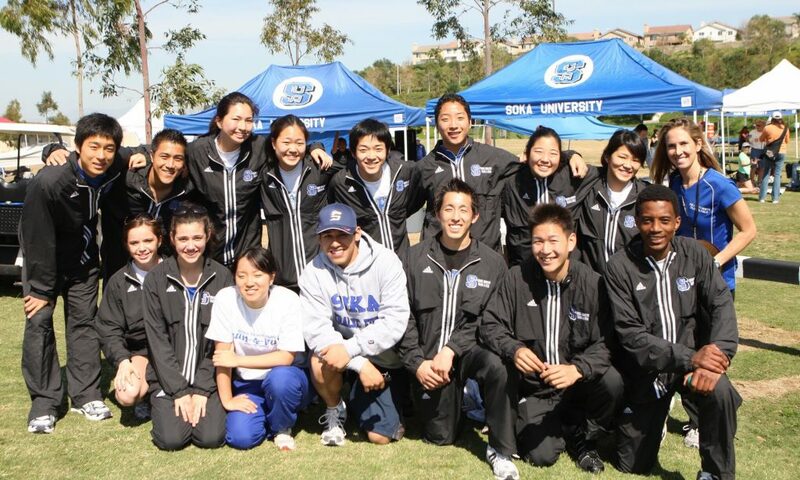 Without me, or any of us, we couldn’t go out there and represent Soka University of America. As much as I could wish to think, “I will never ever race again!” the responsibility and privilege of representing our school and building the athletic department was something I got excited about. But more importantly, I wanted to see if I could ever become an athlete that could truly race the 5K and finish with an impressive time. During my four years with you, I learned a lot – more than I could ever be grateful for. I went through the highest highs and the lowest lows with you. And after having completed my first marathon just last month, I realized that all the blood, sweat and tears that went into each practice, each mile, each stride was so that I could accomplish everything I set out to do. You taught me how to train. I never felt like I was good enough. As the team grew and the years went by, the number of fast athletes continued to increase. I learned the hard way what it means to train hard versus train smart. You taught me how to complement my enthusiasm with techniques to improve my speed. You gave me courage when I wasn’t mentally capable of running. I trained through every imaginable circumstance with you and as miserable as it was on some days, I wouldn’t change a thing. I’m still training aggressively like a beast because you built me to be strong enough to handle anything. You taught me how to race. When I raced the marathon, I was mean about not letting anyone pass me, especially in the last 10K. Throughout the years, you showed me the true meaning of racing. It’s a race against the self and overcoming my self-imposed limitations. Racing means going into territories that are unfamiliar and terrifying and still pushing harder, even when I’ve already convinced myself that I’m at my maximum capacity. Finally, you taught me how to sprint through the finish and what it means to cross that line having left every bit of myself that I had remaining. You taught me the meaning of teamwork. Running may be an individual sport but I couldn’t have succeeded without you. What made us so special was that despite differences and discrepancies in athletic abilities, we all struggled with the same things: how we’ll finish our papers while studying for two other classes, uncertainty about life after we graduate, nagging injuries and sore legs, and running out of money. Yet, our commitment to supporting one another was never in question. Teamwork meant that no one got left behind and that we were there for each other – both on and off the track. You went through the worst times with me. While a student-athlete, I experienced some of my lowest lows in life. When my doubts and weaknesses surfaced, you’ve been the first ones to extinguish them and convince me that I’m much more than what I give myself credit for. Sometimes, we had hill repeats on “The Yama,” that massive hill along Aliso Viejo Parkway. And at other times, we trained alone. I can’t even count the number of times I almost never showed up to practice or the frequency at which I thought about quitting. You celebrated every bit of progress. The tough times would mean nothing if progress wasn’t manifested, every once in a while. And I had many moments with you when I surprised myself. I remember always being scared of getting into starting blocks before a track race and having to calm myself because I felt like an imposter. Even when I thought I’d given it my all, I somehow had enough energy to throw my hands up in the air when I got PRs. 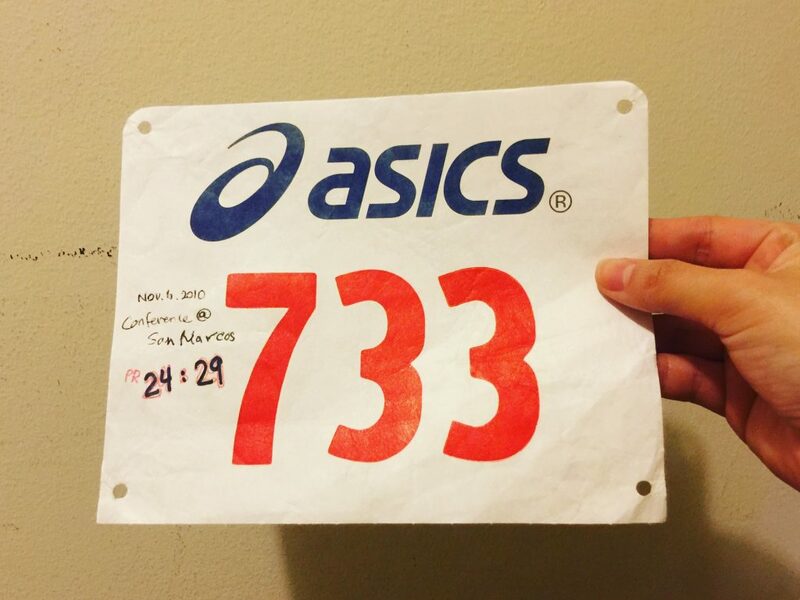 You’ve always been proud of me when I hit major milestones in my running. You didn’t care how much time I spent doubting myself because you only cared about the steps I took to make progress. And when I did, it mattered a lot. You made it okay to be weird and gross (sometimes). At any given time, we shared a little bit too much. We have admitted to reusing the same pair of shorts without a wash in between. We ran out of deodorant because we were broke college kids but learned to not care because running is anything but glamorous. We gave each other sweaty high-fives and hugs. We got a bit too close when we helped each other stretch or wrapped ice bags on aching legs. We’ve definitely seen each other in our grossest forms. But at the end of the day, what mattered was getting stronger, together. You gave me the confidence to call myself an athlete. “Athlete” was a label I couldn’t fully embody. When I started my marathon journey, I told myself that if I could finish the race in about six hours, I’d be content. I thought that if I could even finish a half marathon without walking, that would be an accomplishment in itself. Before this, the longest I’ve ever raced were 5Ks – I considered that to be “long distance running.” Even the thought of breaking the two hour half marathon barrier seemed like a distant dream for me. And trying to qualify for Boston? I initially told myself, “Not this lifetime.” And now, I’m 46 minutes away. With every passing day, I think back to my four years as a student-athlete with you. I can’t help but overflow with love, nostalgia and appreciation. This is where my marathon journey started and you’re the reason why I’m committed to this process. During my marathon journey, you weren’t all physically there but you fueled me more than you could ever know. You make me believe that I could finish a marathon and then tell myself that I’ll BQ, one day. I went from racing a 5K at 12:00 per mile to completing a full marathon in 4 hours and 20 minutes. Nice read! Wishing you continued success and happiness.